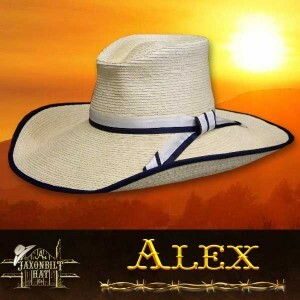 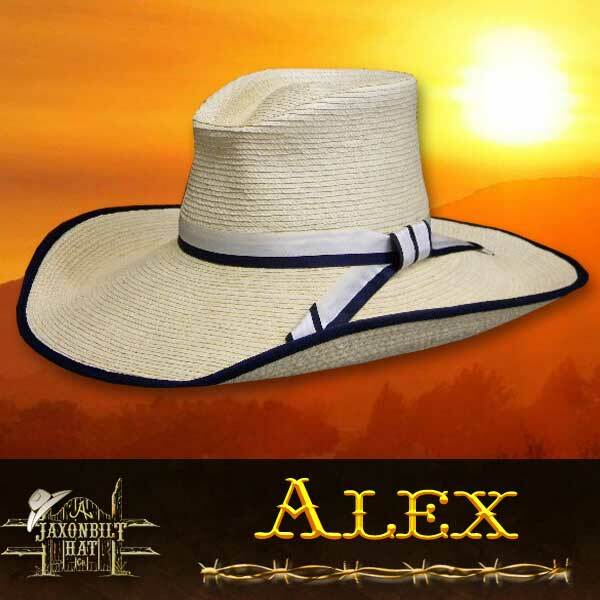 “Alex” Another great “Horse Trough” hat from the JAXONBILT collection. 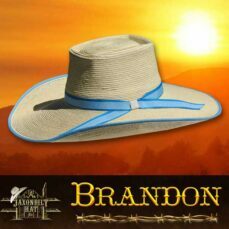 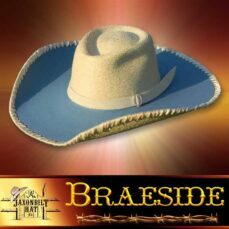 The 5” brim is a simple design but reflects the lines of an elegant hat style. 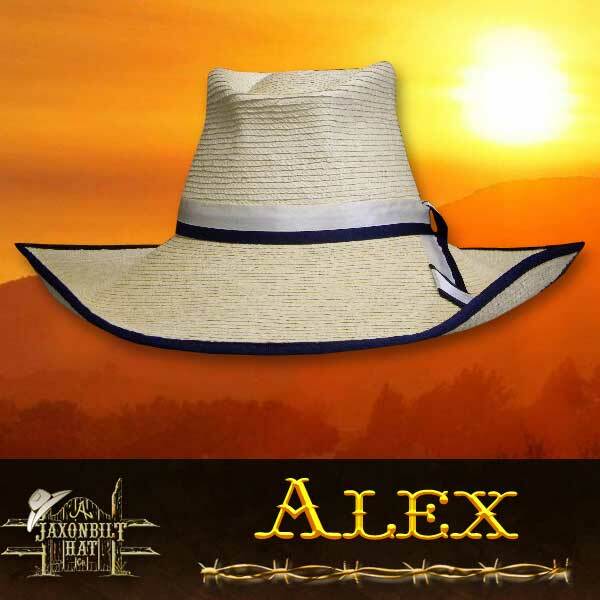 Nicely trimmed in black and white with a black bound edge, you can expect to have this hat catch the eye of many an admirer.